The Bulls Sunday showed some heart and hustle, and being home just wasn’t quite enough as the Bulls lost 104-95 to the Boston Celtics. The defeat left the first round playoff series tied 2-2 as the Celtics won both games in the United Center. Game 5 is in Boston Wednesday. 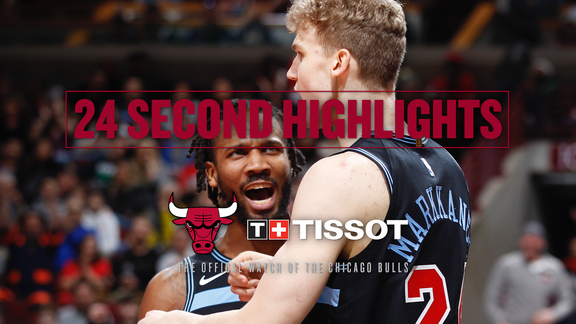 It was a valiant effort for the Bulls after another stumbling start, falling behind by 20 points early in the second quarter before the Bulls were revived with a bit of squabbling and the inspired play of long forgotten Isaiah Canaan. With Jimmy Butler playing his best game of the series, the Bulls stormed back to take the lead midway through an emotional third quarter. But the Celtics’ Isaiah Thomas rallied Boston through a crucial 12-0 run after the Bulls took that lead. The Celtics controlled the game afterwards to even the series. The Bulls were led by Butler with 33 points, nine assists and five rebounds. Butler was 19 of 23 on free throws after attempting none in Game 3. Canaan and Nikola Mirotic each had 13 points and Dwyane Wade had 11. Thomas led the Celtics with 33 points. The Bulls were just five of 24 on threes. Boston was 10 of 37. The Celtics despite their size limitations led the Bulls in second chance points 17-10. Rajon Rondo was out again with his thumb injury. Jerian Grant stayed in as point guard while the Celtics stuck with their successful lineup for Game 3 with Gerald Green starting for Amir Johnson. The Bulls, stunningly, got off to the same slow start as Game 3, and same 14-4 deficit in the first five minutes with the Celtics swinging the ball for a trio of three pointers. The Bulls went quickly to the bench, using 10 different players in the first quarter with even Canaan coming in. The Celtics, however, remained the aggressor even as Butler exerted himself with eight first quarter free throws and 11 points. But the Celtics on 53 percent shooting took a 30-18 lead after one quarter. The Bulls were zero of six on threes in the first. Boston was four of 11. The Celtics sent the Bulls into another early timeout in the second quarter with Gerald Green and Kelly Olynyk threes for a 38-21 lead with 9:47 left in the half. Butler was quickly returned to the game. The Bulls then showed their first signs of life with Canaan stripping the ball from Marcus Smart for a score to make it 41-23 Boston. Smart and Butler then argued as Smart attempted to inbound again, resulting in double technical fouls on Butler and Smart with 8:44 left in the first half. The sequence finally produced some life from the Bulls and the crowd as the Bulls got a pair of fast break scores to get within 45-30 with 6:13 left in the half. The Bulls finally began to match the Celtics hustle and energy on defense, closing out on shooters and forcing more rushed shots. Butler continued to attack off the switches, getting 14 first half free throws and making 11 as he had 17 points. The Bulls continued to mine their bench going to Joffrey Lauvergne. But with Thomas and Gerald Green with 16 points each in the first half, the Celtics still led 57-46 after the Bulls recovered from the 20-point deficit earlier in the second quarter. The Bulls continued the momentum from the second quarter with Canaan starting the second half at point guard. He was crucial playing physical against Boston’s Thomas. The Bulls finally began to take advantage of Robin Lopez inside with Butler penetrating and dropping passes off when Boston trapped. Canaan added another three, Butler took a charge and the Bulls charged into a 65-63 lead seven minutes into the second half. Thomas then rallied the Celtics. He weaved and bobbed like Ali, going by Bulls defenders and either scoring or assisting on every basket on a 12-0 Celtics run that silenced a newly exuberant Bulls crowd. There was another little run in with Thomas and Michael Carter-Williams as the Celtics held onto a 79-70 lead entering the fourth quarter. 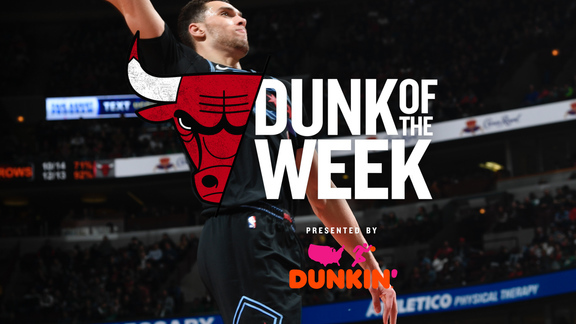 The Bulls got another Portis jumper and a Lauvergne drive to get within 81-76 before Thomas again proved difficult with a pair of driving scores and an 86-76 Boston lead with 9:01 left in the game. The Bulls continued to mine the switches to get Butler on Thomas. And Canaan continued to do the best job playing physical with Thomas. But the Bulls could not convert, Wade missing a fast break layup as Boston kept balls alive on their boards with Lopez sitting and kept a 94-83 lead with 4:54 left in the game. Butler came out of the timeout with a three-point play as he continued his exceptional game. But the Bulls could not land with a Canaan three and Boston effectively closed it out with a Marcus Smart three and Thomas drive for a 99-88 lead with 2:16 left.